A multitude of Québécois worked with Michel in the causes that marked his long life, and the Quebec media this week are full of tributes to his contributions. Translated below is an older tribute by 110 well-known activists, published on the occasion of his 90th birthday, that summarizes some of the key events of his life. It is followed by some personal memories of my own. — Richard Fidler. The fate he suffered then gave a foretaste of the troubles he would later have with the legal system and the many further jailings – including his detention for four months under the War Measures Act decreed by the Trudeau government during the October Crisis of 1970. His trial – like that of all the 300 or so other persons unjustly jailed at that time – ended in a dismissal of the charges. Michel has been predominantly a political man. Throughout his life, he has concerned himself with public issues and spoken abundantly about them. “Everything is political,” he loves to say. But this patriarch of the Quebec left has consistently scorned the traditional parties, which in his view seek only power without real change. In the first part of his public life, he was deeply involved in the adventure of the reformist nationalist parties of the Thirties and Forties – Action Libérale Nationale and the Bloc Populaire – precursors of the contemporary sovereigntist formations, the Parti Québécois and Bloc Québécois. As his thinking radicalized he opted for more marginal parties. In the Fifties he succeeded Thérèse Casgrain as leader of the Parti Social-Démocrate, the Quebec wing of Tommy Douglas’s Cooperative Commonwealth Federation (CCF). And in the early Sixties he was the founding president of the Parti Socialiste du Québec (PSQ), while Jean Lesage’s “Equipe du tonnerre” [“thunder team,” the All-Star Liberal cabinet] ruled in Quebec City. Driven out of the CTCC, the CSN’s predecessor, by its then secretary general, Jean Marchand – one of the three “doves” who, with Trudeau and Gérard Pelletier headed off to Ottawa in 1965 to “put Quebec back in its place” – Chartrand went back to practicing his trade as a printer for ten years. and, above all, the practice of international solidarity with the Centre international de solidarité ouvrière (CISO), founded by the late Roberto Quévillon, and the Québec-Palestine and Québec-Chile committees. When he was over 80 years old, Michel launched a campaign in favour of establishing a “citizenship income.” For several months he criss-crossed Quebec holding dozens of meetings to publicize the manifesto he had written on this topic. He even made a lengthy stop-over in Jonquière, during the 1998 elections, to run against the then premier Lucien Bouchard, as a spokesperson for the Rassemblement pour l’alternative progressiste (RAP – Coalition for a progressive alternative), one of the predecessors of Québec solidaire. His slogan was “Zero poverty through a citizenship income,” which contrasted with the controversial “Zero Deficit” of the PQ government. In 1993, after 51 years of marriage, Michel suffered the painful loss of his companion Simonne Monet. Canon Lionel Groulx, who married them and baptized their seven children, described them in 1942 as “two young idealists whose fates will be joined forever.” He could not have said it better. Even if, in their quest for greater social justice, Simonne and Michel chose the difficult road of financial insecurity and adversities of all kinds, they always supported each other as two inseparable accomplices. 1. CTCC – Confédération des travailleurs catholiques du Canada; CSN – Confédération des syndicats nationaux. These differences persisted after the convention, and in 1962 the new party forces in Quebec split, most of the Anglophone leaders – such as philosopher Charles Taylor and Professor Michael Oliver (who was federal NDP President) – refusing to accept the majority decision at the new party’s orientation convention to build the party in Quebec as an autonomous Québécois partner of the Canadian NDP. The largely Francophone component went on to found the Parti socialiste du Québec (PSQ), independent of the NDP but not running against it in federal elections. In November 1963, as a student recently arrived in Montréal, I attended the PSQ’s founding convention in Quebec City, where Michel Chartrand was elected president of the party. The PSQ, as it turned out, was somewhat ahead of its time. Although it was sympathetic to Quebec independence – its 1966 program called for an “État Libre du Québec,” a free Quebec, in “association with Anglophone Canada” – it was outflanked in the growing nationalist milieu by the Rassemblement pour l’indépendance nationale (RIN). In 1967 dissident Liberal cabinet minister René Lévesque adopted the associate-states formula and went on to found the Parti québécois shortly thereafter. The RIN dissolved into the PQ. These developments effectively undercut the PSQ and – lacking significant support in the unions – it soon disappeared. Michel’s Québécois nationalism was internationalist to the core, informed by a profound sense of solidarity with the oppressed everywhere. He was an “altermondialiste” – an opponent of capitalist globalization – long before the term became fashionable in progressive circles. In 1964, shortly after the founding of the PSQ, he spent almost a month touring revolutionary Cuba. When I interviewed him upon his return, he told me Cuba had “a government which works for the people,” and he discussed frankly and sympathetically the difficulties confronted by the Cubans and their innovative efforts to overcome them. The interview also illustrates Michel’s appreciation of artistic accomplishment as he observed it in Cuba, as well as his sense of humour and his keen anti-imperialism. In later years he was active in building solidarity with Allende’s Chile and the Palestinians. A further encounter with Michel was in 1971, when I was living in Toronto. It was shortly after the War Measures crisis. He came to Toronto along with his lawyer Robert Lemieux – both had been arrested during the army occupation of Quebec – and spoke eloquently, in English, to a huge and appreciative audience at the University of Toronto’s Convocation Hall about the repression and the situation in Quebec. Later that year, Michel was active in the Front Commun pour la Défense de la Langue Française, a broad coalition of nationalist and left organizations that organized some mass demonstrations in favour of making French the official language of Quebec; this was the beginning of the radicalizing wave of actions that swept through Quebec not long after the Trudeau government’s war measures. Michel Chartrand was best known to many as a colourful speaker – “un homme de parole.” His speeches were powerful because they spoke to real injustice, and many are collected in a volume published by his biographer Fernand Foisy. He had a remarkable ability to arouse an audience with both anger and humour in denunciations of capitalist exploitation and oppression, while articulating an alternative vision of another, possible Quebec of solidarity and emancipation. He fought with courage and principle. He shall long be remembered with affection and gratitude for his remarkable contribution to our struggles. Richard Fidler is a Socialist Voice Contributing Editor and an Ottawa member of the Socialist Project. He writes the blog Life on the Left where this article first appeared. 1. Michel Chartrand: Les Dires d’un Homme de Parole (Lanctôt Éditeur, 1997). 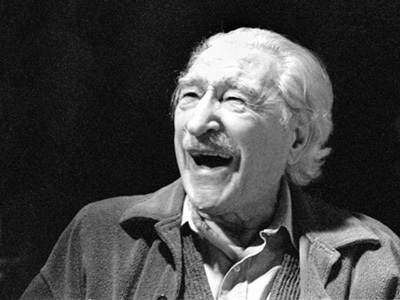 See also Michel Chartrand: Les Voies d’un Homme de Parole (Lanctôt Éditeur, 1999) and Michel Chartrand: La Colère du Juste (Lanctôt Éditeur, 2003), also by Fernand Foisy, the latter being a biography of Chartrand’s life between 1968 and 2003.